With severe, hot and dry 'devil winds' expected to continue throughout today, fire-fighters have been unable to contain the inferno in Butte County, in the north of the state, where 52,000 people have fled their homes. Most of the fatalities and missing people come from the town of Paradise, which was reduced to ash at the weekend. So far, 23 are known to have perished, with that figure expected to rise in the coming days. Two people died in Malibu. 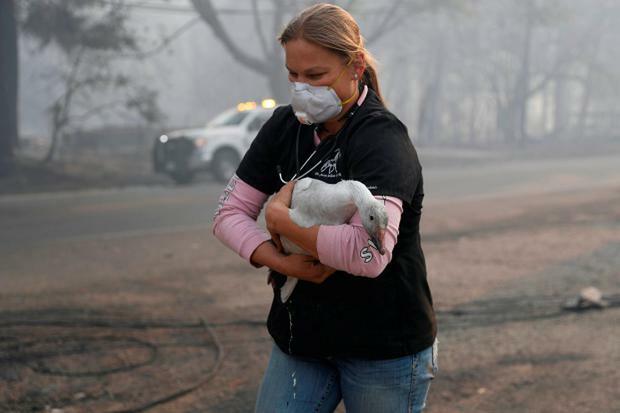 The so-called Camp fire has destroyed more than 6,700 buildings, most of them family homes, over an area of 420 sq km. Officials made arrangements to bring in a mobile DNA laboratory so that people with missing relatives could provide samples to help identify recovered remains. Anthropologists were working alongside coroners to help examine body parts sifted from scorched rubble. At the ruined Holly Hills Mobile Estate, yellow police tape marked spots tagged 'Doe C' and 'Doe D', suggesting that bodies were found there. Kory Honea, the Butte County sheriff, said in many cases the only remains they were able to find were bones or bone fragments. 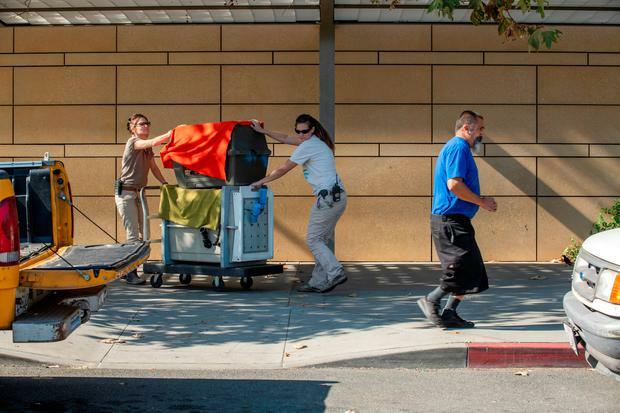 "This weighs heavy on all of us," he said, "myself and especially those staff members who are out there, doing what is important work but certainly difficult work." Paradise resident Jan MacGregor (81) returned home to discover nothing left but a large metal safe and some pipework. "We knew Paradise was a prime target for forest fire over the years," he said. "We've had them come right up to the city limits - oh yeah - but nothing like this." 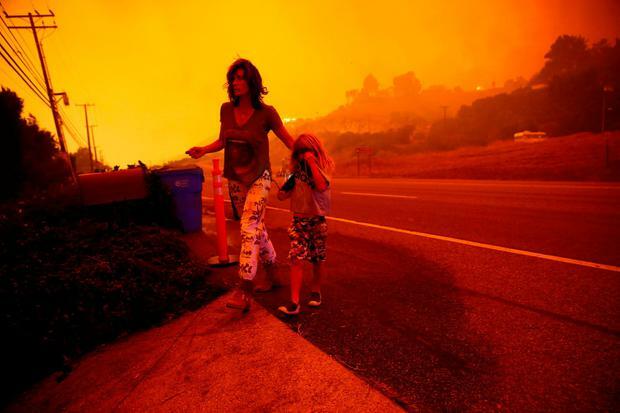 About 800km south, Malibu, the celebrity enclave, remained subject to mandatory evacuation as a separate blaze, named the Woolsey fire, threatened to spread. About 330,000 hectares have been affected and 177 buildings destroyed. Wildfires have intensified in recent years because of a five-year drought and warmer weather, which is attributed to climate change. 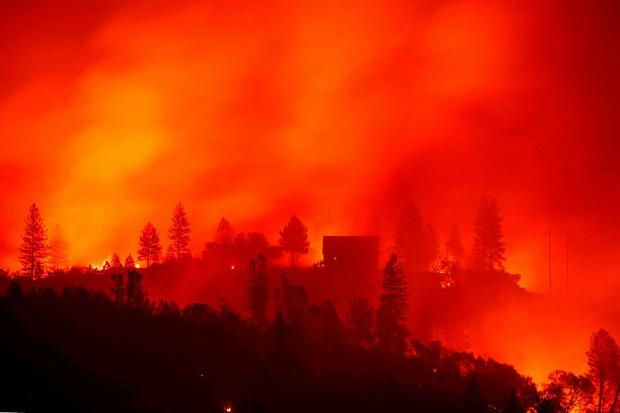 President Donald Trump has blamed the fires on human mismanagement of forests and angered Californians by threatening to stop federal aid. "With proper forest management, we can stop the devastation constantly going on in California. Get smart," he said yesterday. Brian Rice, president of the California fire-fighters' union, excoriated Mr Trump. Harriet Alexander The first white man in Texas to be convicted of the murder of a black man has been executed, after 20 years on death row.